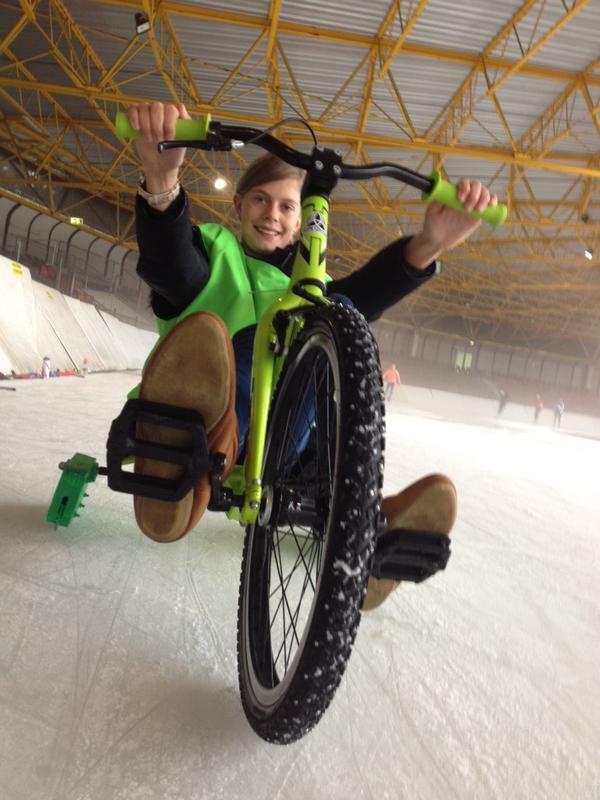 Ice Track Cycling is the sport of cycling on ice, using specially designed bikes which have 1 wheel and 2 skates. The bikes are stable, fast and suitable for anyone who can pedal. There are two branches: one based on the Speed Bike for racing on 400m ice ovals; the other based around the Drift Trike for downhill ice and ice hockey ice sheets (or smaller). The fastest Ice Tracks are the 400m speed skating ice ovals. The bikes are great fun on ice hockey rinks and outdoors on frozen lakes etc. A 'box rule' is used to define the dimensions of the bike: it must fit in a box 210 x 80 x 80 cm. Furthermore only 3 points of contact with the ice at any one time are allowed. For the full equipment and safety requirements, please send an email to the address below. Currently the UCI recognises Road, Track, BMX, Mountain Bike, Cyclo-cross, Trials, Indoor, Para-cycling and Recreational cycling. The UCI has been asked to recognising Ice Track as the 10th discipline. Because the sport uses standard ice ovals and skate technology, the International Skating Union has been asked to adopt Icetrack into its program. 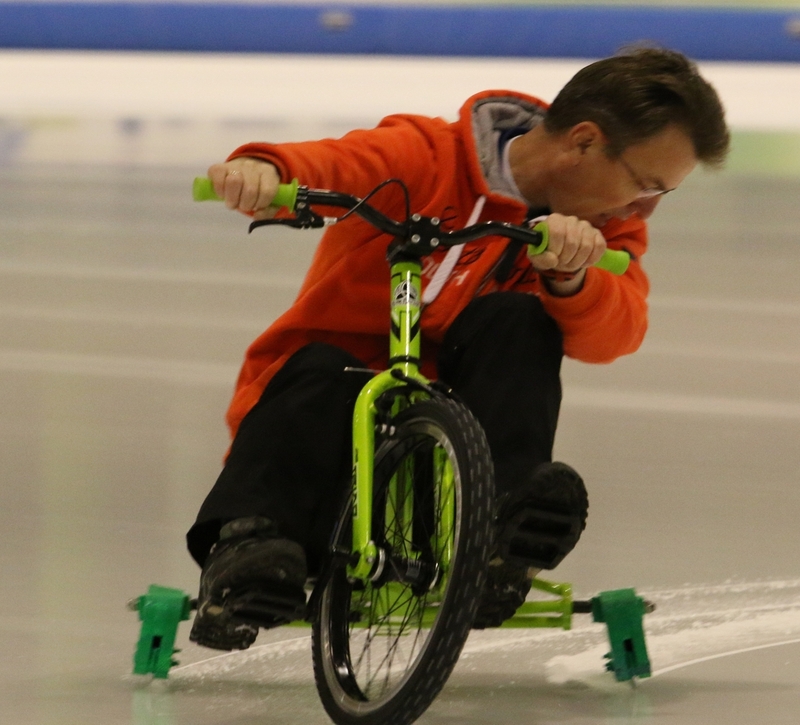 Ice Track Cycling aims to facilitate many more nations and athletes to compete on the 400m icetrack ovals at the Winter Olympics and Paralympics. This is the organisation responsible for the rules and regulations of the sport, events and equipment, with its Head Quarters in the Netherlands. Official Ice Track Clubs, Events and the annual World Championships are sanctioned by ICA. The Chairman is Steve Ellis. Information about country representatives, setting up a club, events, equipment, etc, is available by e-mail: info@icetrackcycling.org or check out www.icebyk.com, the current developers of certified equipment. 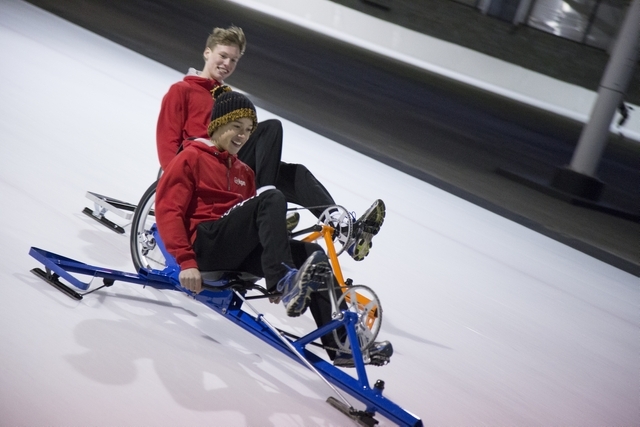 Ice Track Cycling is a relatively new sport but aims to be included in the Winter Paralympics in 2022 - so get training!